The recently published MOVES Investigation Group clinical arthritis trials showed treatment with glucosamine and chondroitin was as effective in treating knee osteoarthritis as Celebrex. Published in the Annals of the Rheumatic Diseases, the study documents 606 patients with moderate-to-severe arthritis pain that were treated with the much recommended dietary supplements instead of the COX 2 inhibitor. The arthritis study yielded nearly identical results. There was a 50.1% decrease for the vitamins compared with a 50.2% decrease among patients given Celebrex. Low concentrations of 18 unregulated contaminants were found in one-third of water tested from U.S. utilities. Traces of 18 unregulated chemical contaminants were found in drinking water from more than one-third of U.S. water utilities in a nationwide sampling, according to new, unpublished research by federal scientists. Wisconsin Department of Natural ResourcesWater contains traces of industrial chemicals and other unregulated contaminants. Some facilities, like this water recycling plant in Carson, Calif., use advanced treatment technologies. Yes, something as simple as adding a source of B-complex to your regimen can prevent the juggernaut of heart disease from taking your life prematurely. A doubled-blind, randomized study, published in 2005, in the journal Atherosclerosis found that a simple intervention using 2.5 mg folic acid, 25 mg Vitamin B6, and 0.5mg Vitamin B12 for 1 year, resulted in significant reductions in arterial thickness (as measured by intima media thickeness). Even niacin–or folic acid– alone has been show to have this effect in patients. [Note: Always opt for natural sources of the B-group vitamins, including probiotic supplementation (which produce the entire complement for you), or a whole food extract, versus synthetic or semi-synthetic vitamins which, sadly, predominate on the market today]. As we have documented extensively previously, garlic can save your life. 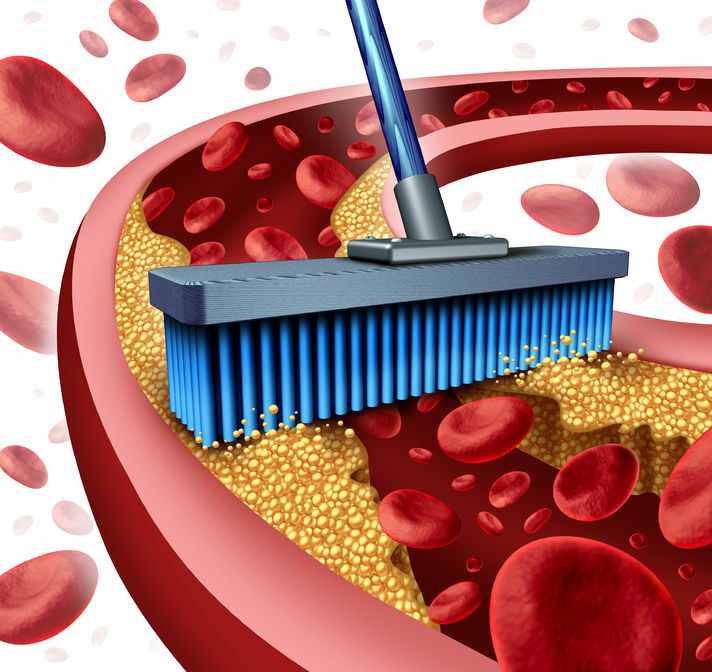 It has been found to regress plaque buildup in the arteries, among many other potentially life-saving health benefits. This super healing fruit has been found to regress plaque buildup in the arteries,– as well as being demonstrated to provide dozens of validated health benefits, including replacing the function of the mammalian ovary! Kimchi, a Korean recipe which includes fermented cabbage, hot pepper, and various other ingredients, including fermented fish, appears to stall the atherosclerotic process in the animal model.. Additionally, strains of good bacteria in kimchi have been found capable of degrading toxic chemicals that can additional bodily harm. This amino acid is capable of preventing arterial thickening – up to 24% reduction! – in the animal model.–. We have done an extensive literature review on arginine supplementation and have found that in over 30 studies demonstrating this fact addition to 150 known health benefits, it is capable of addressing the underlying dysfunction associated with cardiovascular disease: endothelial dysfunction, with no less than 20 studies proving this fact. Remember, heart disease is not a natural process, that we must accept as inevitable based on family history of an outdated gene-based model of human disease risk. Our daily decisions, especially regarding what we decide we are going to eat or do not eat, are first and foremost. We can use food as medicine, sloughing off the pharmaceutical industry meme that we need statins to stave off the ‘inevitable’. Take back control of your health with nutrition, and realize that food is the only medicine that will both nourish us and heal our bodies in a way that will produce lasting health. In recent years the study of chronic inflammation has become the hot topic and inflammation seems to effect some area of every disease the human race is faced with. To get rid of the chronic inflammation our diets must change to more healthy alkaline foods like vegetables and less acidic foods like soda and sugary foods. We in the U.S. have become the kings of extremes ( Extreme weight loss/ Extreme make-over/ Extreme exercise ). I believe in setting some goals in life, both long-term and short-term goals, but is the extreme way the best way to make and keep lifestyle changes. To have real lasting changes in our lives we must have something to replace the bad habit ( smoking, over eating, etc…) with something healthy (walking, juicing, eating quality foods) and continue as if we are never going back to the old ways. We don’t need the extreme, just a transformation of our thoughts and the will to persevere until it becomes a lifestyle change. Good luck, Dr. David R. Jones, DC. About 100 million Americans suffer from chronic pain, according to the Institute of Medicine. Studies indicate that eating patterns, stress and inadequate exercise contribute to chronic inflammation, and scientists know that inflammation promotes chronic pain. Reduce your inflammation, and you may be able to prevent or manage much of your chronic pain. Short-term inflammation is how the body reacts to an injury. This is the body’s attempt to protect itself. The goal of inflammation in the event of an injury or assault is to remove irritants, damaged cells or pathogens so the body can begin healing. Chronic inflammation occurs when the body’s inflammatory response activates without a trigger or neglects to shut off. Chronic inflammation can last for months, days or years. There are lifestyle changes you can make to decrease the hidden inflammation in your body. Focus your exercise routine on losing excess belly fat, as this type of fat increases inflammation and causes heart disease. Visit sites like spine-exercises.com to learn how to properly perform exercises and daily activities. Injuries can exacerbate any existing hidden inflammation in the body or be the beginning of a chronic problem. De-stress with yoga, massage, a hot bath or meditation. Use natural detergents and cleaners. Take vitamins, whole food supplements and herbs to combat inflammation as well as cravings. Do not use nonstick cookware or plastic food storage containers. This reduces the level of toxins in your body that may cause inflammation. Avoid foods that can cause inflammation and increase your consumption of foods that have anti-inflammatory properties. Not sure where to start? Epicurious.com has a number of recipes for an anti-inflammatory diet. Also, review and incorporate the tips below into daily meal planning. Make changes gradually and use trial and error to see what works best for your individual needs and lifestyle. Do not eat saturated and trans fats. Eat foods rich in omega-3s or monounsaturated fats such as avocados, nuts and seeds. Another way to accomplish this is to take a fish oil supplement daily. Stop eating refined flours, sugar, artificial sweeteners, high glycemic and processed foods. Seven pro-inflammatory foods to avoid include eggs, dairy, gluten, corn, peanuts and soy. These foods can contribute to weight loss resistance and obesity. To avoid pesticide residue, purchase organic foods. Use spices and herbs that are rich in antioxidants, such as ginger and garlic. Make sure the spices you purchase do not contain any of the foods you are trying to avoid. Reduce your consumption of animal products to no more than twice weekly. Drink plenty of filtered water or, ideally, alkaline ionized water. Eat plenty of vegetables, fruits and healthy carbohydrates (whole grains). Eat plant proteins like beans, nuts and legumes. Drink between two to four cups of tea daily. Recommended teas include green, white and oolong. We in the U.S. have become the kings of extremes ( Extreme weight loss/ Extreme make-over/ Extreme exercise ). I believe in setting some goals in life, both long-term and short-term goals, but is the extreme way the best way to make and keep lifestyle changes? To have real lasting changes in our lives we must have something to replace the bad habit (smoking, overeating, etc…) with something healthy (walking, juicing, eating quality foods) and continue as if we are never going back to the old ways. We don’t need the extreme, just a transformation of our thoughts and the will to persevere until it becomes a lifestyle change.